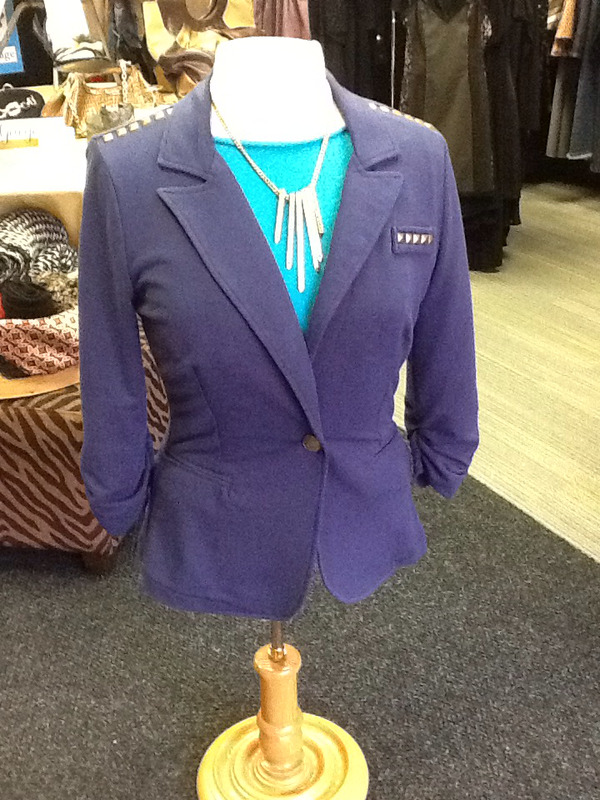 Soft cotton blend blazer that contours to your shape rather than fits like a box. Great shoulder and breast pocket studded detail. Ruched sleeve. Faux breast and font pockets.